Young man with beard playing electric guitar. 图库插图: Young man with beard playing electric guitar. 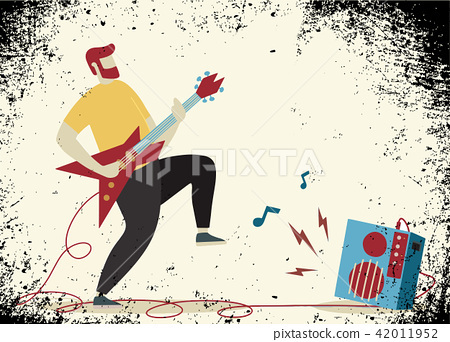 Young man with beard , Punk rock star with guitar and amplifie. Indie rock guitarist in flat cartoon style.